Over the last couple of months, rumours have been circling that Turn 10 had a mobile game in production, known as Forza Street (Win 10). Those rumours did have some truth in them. 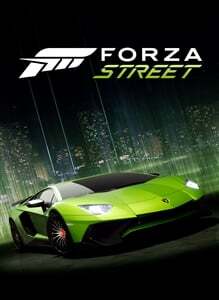 There is a game called Forza Street in existence, but it isn't a new title. Instead, Miami Street, which was released on Windows 10 almost a year ago, has rebranded today and been welcomed into the Forza franchise. REFRESHED NARRATIVE Immerse yourself in a world of speed and intrigue with an updated storyline for Episodes 1, 2 and 3. Can you uncover the secrets of Forza Street? UPGRADE PARTS Car upgrade requirements are now easier to understand with the introduction of Upgrade Parts. Collect brakes, suspension, engines and more to push your cars to their limits. AUDIO POLISH Crank up the volume and enjoy the latest improvements to music and sound effects in Forza Street. We've got the full list of Forza Street (Win 10) achievements - check the list for guides to unlocking them.